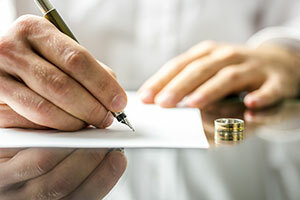 At Icard Merrill, our family law attorneys have noteworthy experience with child custody and visitation matters, whether in connection with a divorce, in the process of paternity proceedings, or during post-judgment modification actions. Child custody arrangements are typically not limited to a determination regarding the child’s primary residence, but also outline the manner and method of contact and visitation by the non-custodial parent, as well as the sharing of parental responsibilities. In the absence of an amicable agreement reached through mediation or other negotiations on the issues of child custody and visitation matters, the court will view each family’s unique situation and determine what is in the best interest of the minor child or children when establishing how custody, parental responsibilities, and time with the minor children will be shared. Whether you are seeking custody and visitation within the context of a divorce or otherwise, Icard Merrill’s child custody and time-sharing lawyers are adept in providing the guidance and information you need to make an informed decision, while skillfully advocating for and protecting your legal rights. Icard Merrill’s child custody attorneys possess experience, knowledge, and compassion and bring these traits to all facets of child custody matters. We understand the emotionally complex nature of these claims and appreciate that decisions, parenting plans, and rulings made during this process will have far-reaching and long-term consequences for the entire family. Whether your case involves equal time-sharing, visitation issues, or a long-distance schedule, Icard Merrill’s child custody lawyers will provide compassionate, conscientious representation on your behalf.